Social media personality who was born into stardom thanks to her parents' wildly popular ACE Family YouTube channel. Her mother Catherine Paiz and father Austin McBroom have racked up over 16 million subscribers thanks to their mix of pranks, challenges and vlogs. 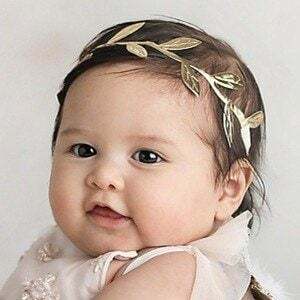 Her personal Instagram account was created in October 2018, just 2 weeks after she was born. Her parents revealed her name in an October 2018 video. Her Instagram account alaiamcbroom, which is run by her parents, has over 2 million followers. In addition to her mom and dad, she has a sister named Elle. She became part of a very successful YouTube family like Alyssa FamilyFunPack.